Five-time Olympic gold medalist Hans Günter Winkler has died in Germany after a long illness, only two weeks before his 92nd birthday. Winkler is the only equestrian in any discipline to compete and win medals in six different Olympic Games. He is best known for his partnership with the great mare, Halla. His first Olympics were in 1956 in Sweden during the Melbourne games. Horses were not allowed to travel to the host country for the games, so an alternative venue in Stockholm was found. Winkler sustained an injury in the competition but rode through the pain to take both team and individual gold with Halla. His last Olympic Games were in 1976. He went on to win team gold at the 1960 Olympics in Rome (ITA) and the 1964 Games in Tokyo (JPN) and led Germany to team bronze in 1968 in Mexico City. He claimed team gold again at the 1972 Olympics in Munich (GER) and team silver in Montreal (CAN) in 1976. Just before his 60th birthday, in July 1986, Winkler rode his last lap of honour at his favourite venue in Aachen, Germany. But his relationship with the spectators at the iconic Soers arena never diminished and their cheers were as loud as ever during his 90th birthday celebrations there in 2016. 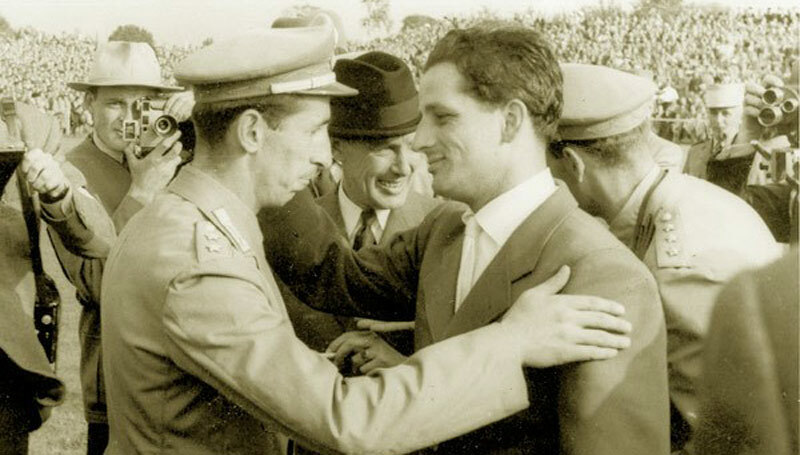 Hans Günter Winkler and Halla on their way to individual and team gold at the 1956 Olympic Games. Following his retirement from competition Winkler became a popular trainer and set up a successful event marketing and management company. He was a member of the German Equestrian Federation’s Jumping Committee, a great supporter of youth development in the sport and was awarded the Order of Merit of the Federal Republic of Germany. “Hans Günter Winkler has been a great sportsman during his career, and likewise, after he had retired from his active time, he did a tremendous lot for our sport, in particular for the juniors”, German Equestrian Federation President, Breido Graf zu Rantzau said. Winkler’s fourth wife Debbie Malloy Winkler, died in 2011 following a riding accident. He is survived by a daughter and son from a previous marriage.